George Washington ANGLIN [Parents] was born on 3 Oct 1851 in , Hickman, Tennessee. He died on 8 Feb 1916 in Gassville, Baxter, Arkansas. George married Martha Jane WHITE in 1871 in Gassville, Baxter, Arkansas. Martha Jane WHITE [Parents] was born on 10 Oct 1850 in Williamson, Williamson, Tennessee. She died on 8 Oct 1917 in Gassville, Baxter, Arkansas. Martha married George Washington ANGLIN in 1871 in Gassville, Baxter, Arkansas. F i Julia Irene ANGLIN was born on 26 Feb 1872. She died on 7 Dec 1915. M ii John Henry ANGLIN was born on 28 Jul 1874. He died on 12 Sep 1951. M iii William Daniel ANGLIN was born on 28 Jul 1874. He died on 19 Feb 1948. F iv Ada Clementine ANGLIN was born on 23 Jul 1876. She died on 3 Apr 1943. Joseph W. ANGLIN was born about 1879 in , , Arkansas. Maggie R. ANGLIN was born on 19 Oct 1883 in Whiteville, Baxter, Arkansas. She died on 28 Sep 1964 in Compton, Los Angeles, California. James Theotto ANGLIN was born on 16 Sep 1885 in Mountain Home, Baxter, Arkansas. He died on 21 Mar 1956 in Amarillo, Potter, Texas. Arden E. ANGLIN was born on 30 Oct 1886 in Whiteville, Baxter, Arkansas. She died in Jun 1979 in Selesville, Baxter, Arkansas. Oliver V. "Ollie" ANGLIN was born on 24 Mar 1890 in Whiteville, Baxter, Arkansas. He died on 1 Nov 1911 in Whiteville, Baxter, Arkansas. Urilla ANGLIN was born in Oct 1894 in Whiteville, Baxter, Arkansas. She died in , , Oklahoma. Rufus SUGGS. Rufus married Margaret Jane DURAM Suggs. Margaret Jane DURAM Suggs was born on 19 May 1845 in , , Alabama. She died on 30 Dec 1932. Margaret married Rufus SUGGS. William D. "Will" SUGGS was born on 14 Jun 1870 in , , Arkansas. He died on 4 Mar 1941. William married Mary Minerva LAMB on 27 Oct 1890. Mary Minerva LAMB [Parents] was born in Jan 1876 in Whiteville, Baxter, Arkansas. She died in Oct 1957 in Springfield, Green, Missouri. Mary married William D. "Will" SUGGS on 27 Oct 1890. Russell Lawrence SUGGS was born on 11 Aug 1891 in Whiteville, Baxter, Arkansas. He died on 21 Nov 1961. Nehemiah LAMB [Parents] was born on 27 Nov 1877 in Mountain Home, Baxter, Arkansas. He died on 7 Jul 1938 in Ada, Pontotoc, Oklahoma. Nehemiah married Gertrude Docilia "Gertie" NETTLES on 6 Oct 1904 in Indian Territory, , Oklahoma. Gertrude Docilia "Gertie" NETTLES was born on 2 Mar 1887 in Indian Territory, , Oklahoma. She died on 8 Dec 1959 in Ada, Pontotoc, Oklahoma. Gertrude married Nehemiah LAMB on 6 Oct 1904 in Indian Territory, , Oklahoma. M i Everett Leon LAMB was born on 5 Sep 1905. He died on 21 Sep 1981. F ii Ruby Marjorie LAMB was born on 27 Jul 1907. She died on 22 Dec 1980. 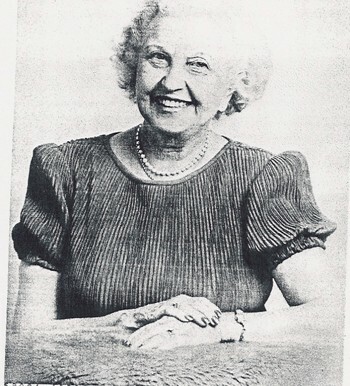 Evelyn Beatrice LAMB was born on 4 Mar 1909 in Ada, Pontotoc, Oklahoma. She died on 10 Jul 1910 in Ada, Pontotoc, Oklahoma. Henry Curtis LAMB was born on 26 Jan 1911 in Ada, Pontotoc, Oklahoma. He died on 9 Jul 1912 in Ada, Pontotoc, Oklahoma. M v William Jack LAMB was born on 22 Mar 1915. He died on 17 Dec 1985. Henry Clayton LAMB [Parents] was born in Oct 1879 in Mountain Home, Baxter, Arkansas. He died on 4 Jun 1953 in Mountain View, Kiowa, Oklahoma. He was buried on 6 Jun 1953. Henry married Tabitha Tuan "Kate" COOPER on 20 Mar 1904 in , Baxter, Arkansas. Tabitha Tuan "Kate" COOPER was born in 1880 in , , Arkansas. She died on 10 Nov 1953 in Mountain View, Kiowa, Oklahoma. Tabitha married Henry Clayton LAMB on 20 Mar 1904 in , Baxter, Arkansas. F i Mable LAMB was born in 1906. M ii Rex Floyd LAMB was born on 15 Feb 1907. He died on 27 Sep 1977. M iii Cecil Henry LAMB was born on 3 Jun 1909. He died on 31 Mar 1976. M iv Jay Andrew LAMB was born on 23 Aug 1911. He died on 9 Feb 1985. Q. D. LAMB was born on 10 Dec 1920 in Hurst, Tilman, Oklahoma. He died on 30 Sep 1995 in Ponca City, Kay, Oklahoma. William Washington "Willie" LAMB [Parents] was born on 23 Feb 1884 in , Baxter, Arkansas. He died on 2 Jan 1960 in Marionville, Lawrence, Missouri. William married Cora Chloe or Clotilda TUCKER on 24 Dec 1905 in Whitville, Baxter, Arkansas. Cora Chloe or Clotilda TUCKER [Parents] was born on 24 Aug 1887 in Whiteville, Baxter, Arkansas. She died on 13 Mar 1962 in Marionville, Lawrence, Missouri. Cora married William Washington "Willie" LAMB on 24 Dec 1905 in Whitville, Baxter, Arkansas. Howard Henry LAMB was born on 9 Oct 1909 in Gassville, Baxter, Arkansas. He died on 15 Mar 1948 in Joplin, Jasper, Missouri. Florence Fay LAMB was born on 24 Feb 1913 in Gassville, Baxter, Arkansas. She died on 14 Jan 1993 in Springfield, Green, Missouri. Minnie May LAMB was born on 1 Sep 1916 in Gassville, Baxter, Arkansas. She died on 16 Mar 1983 in Springfield, Green, Missouri. John SHARP [Parents] was born in 1798 in , , South Carolina. John married Altha A..
Altha A. was born in 1817 in , , Kentucky. Altha married John SHARP. M i Ewel Monroe SHARP was born in Aug 1849. He died in 1913. Archer Guy WEST was born in 1885 in , , Arkansas. He died in 1959 in Skellytown, Carson, Texas. He was buried in Wheeler, Wheeler, Taxas. Archer married Myrtle May LAMB on 24 Dec 1902 in , Baxter, Arkansas. Myrtle May LAMB [Parents] was born on 1 May 1885 in Whiteville, Baxter, Arkansas. She died on 6 Jan 1938 in Wheeler, Wheeler, Texas. She was buried in Jan 1938 in Wheeler, Wheeler, Texas. Myrtle married Archer Guy WEST on 24 Dec 1902 in , Baxter, Arkansas. Willie Ray WEST was born on 25 Oct 1903 in , Baxter, Arkansas. He died in Jan 1978 in White Deer, Carson, Texas. Ruby Fay WEST was born on 8 Apr 1909 in , Baxter, Arkansas. She died on 18 Feb 1995 in Pampa, , Texas. Benjamin Harrison LAMB [Parents] was born on 5 Oct 1889 in Gassville, Baxter, Arkansas. He died on 9 Jul 1983 in Wichita, Sedgwick, Kansas. Benjamin married Florence Lee POWELL on 8 Dec 1907 in , Baxter, Arkansas. Florence Lee POWELL was born on 8 Dec 1887 in Gassville, Baxter, Arkansas. She died on 6 Sep 1977 in Mountain Home, Baxter, Arkansas. Florence married Benjamin Harrison LAMB on 8 Dec 1907 in , Baxter, Arkansas. F i Dorothy Marie "Dot" LAMB was born on 19 Feb 1909. She died on 28 Aug 1983. Ruth LAMB was born in 1921. Keith Powell LAMB was born on 29 Jan 1922 in Gassville, Baxter, Arkansas. He died on 16 Sep 2010 in Wichita, Sedgwick, Kansas. Melvin Sears ROGERS was born on 21 Feb 1906 in Cambridge, Norfolk, Mass.. He died on 30 Jan 1983 in Kensington, Alameda, California. He was buried on 2 Jan 1984. Melvin married Mozell Laura CAVENER on 29 Jun 1946 in Oakland, Alameda, California. Mozell Laura CAVENER [Parents] was born on 29 Jan 1919 in Stratford, Garvin, Oklahoma. Mozell married Melvin Sears ROGERS on 29 Jun 1946 in Oakland, Alameda, California. F i Patricia Ann ROGERS was born on 2 Dec 1947.